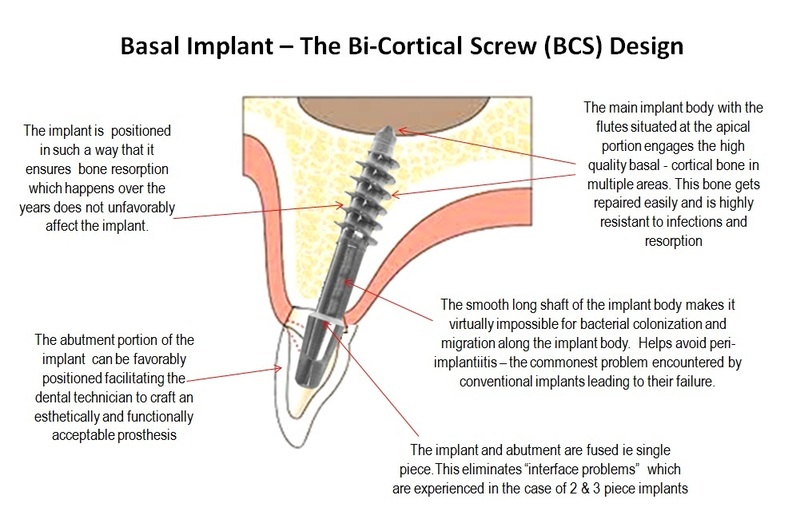 Basal Dental Implantology is an advanced implantology system which utilizes the basal – cortical portion of the jaw bones for retention of the dental implants which are uniquely designed to be accommodated in the basal – cortical bone areas. 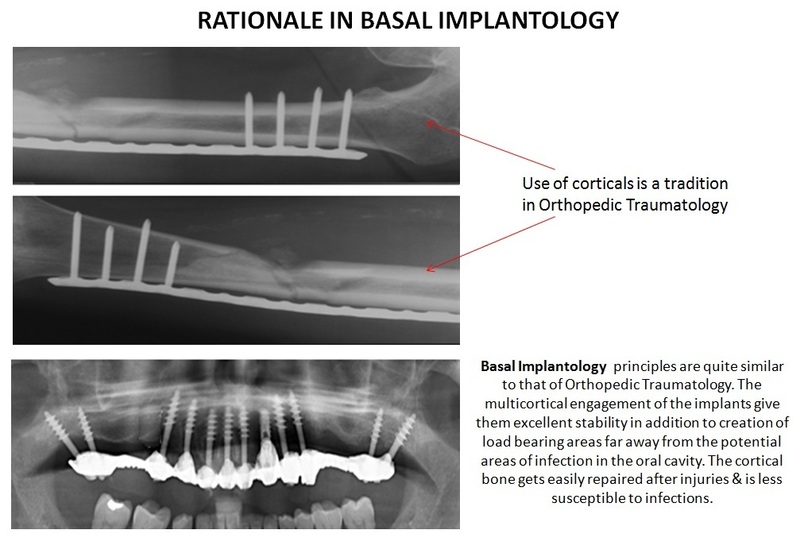 The basal bone provides excellent quality cortical bone for the retention of these unique and highly advanced implants. 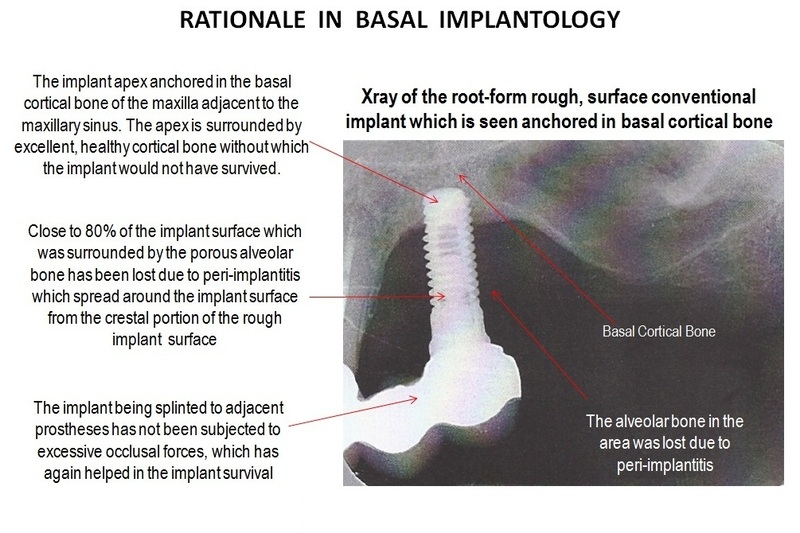 Basal implantology is also known as Cortical Implantology. The teeth are situated in less dense bone portions of the jaw bones called the alveolar bone. This is also known as the crestal bone of the jaw. This less dense alveolar or crestal bone gradually starts getting resorbed and recedes once the teeth are lost. 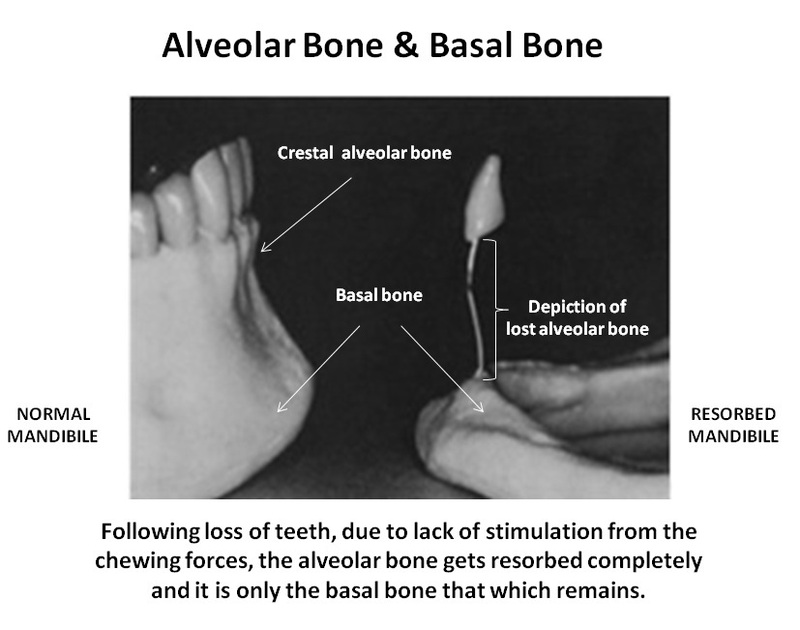 The bone which ultimately remains after regression of the alveolar bone following loss of teeth is the basal bone which lies below the alveolar bone.The basal bone is less prone to bone resorption and infections. It is highly dense, corticalized and offers excellent support to implants. When all teeth are lost, the body recognizes that the portion of the jaw bones supporting the tooth roots is no longer necessary. Thus the body begins to re absorb the minerals in these areas to the rest of the body where they can be used. 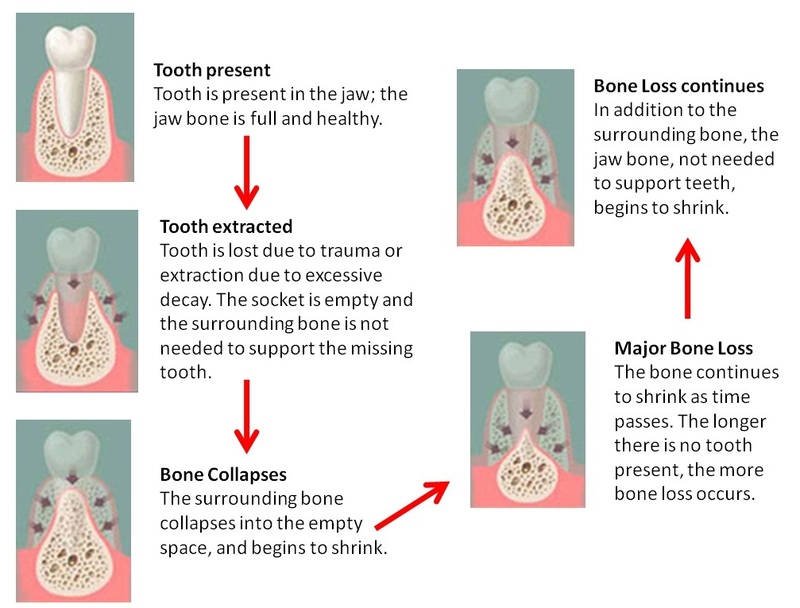 This process is called resorption. The jaw bone thus starts shrinking slowly. 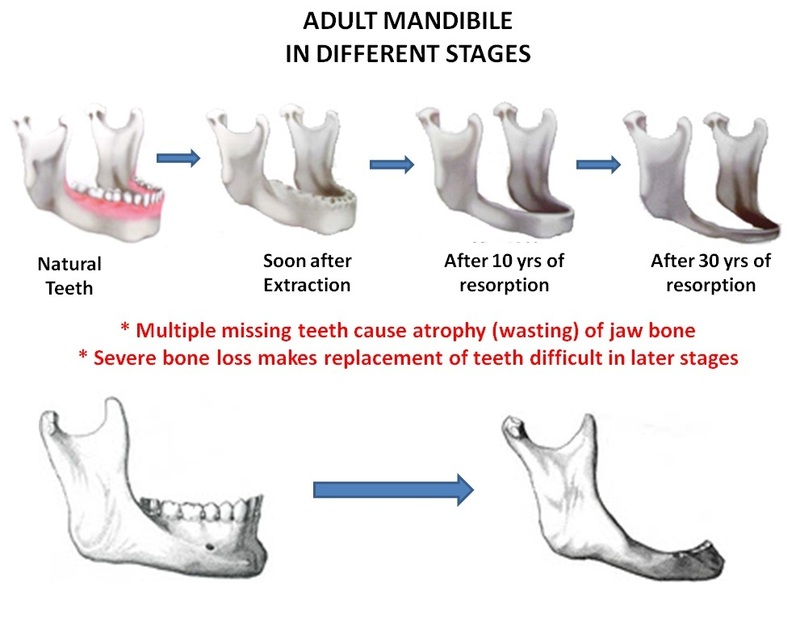 After 10 to 20 years, often there is very little jaw bone left to even support your dentures. This in turn leads to collapse of the face due to loss of vertical facial height and the soft tissues turn flabby as the jaw muscles do not have much work as it used to have earlier. The significant advantage with dental implants is that the implants stimulate the bone like natural tooth roots do during the process of chewing. 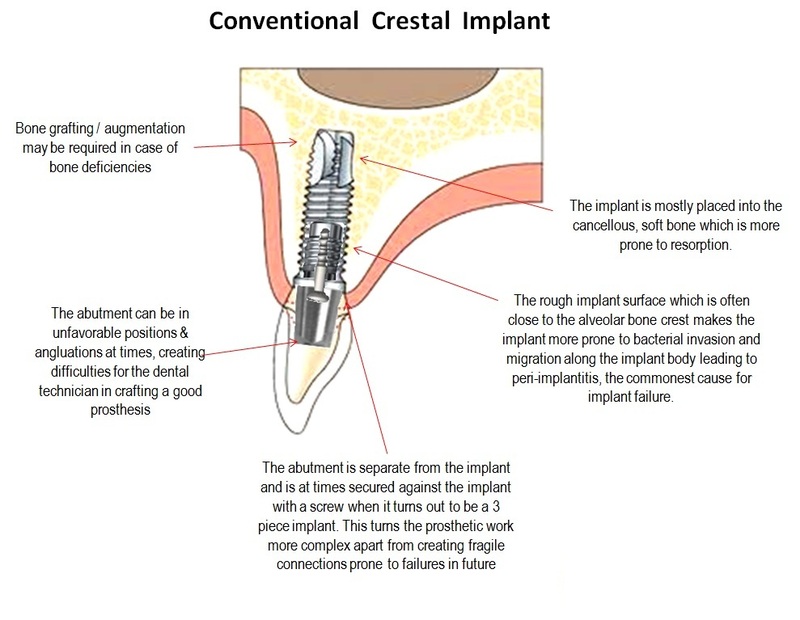 Thus, the crestal jaw bone which gets resorbed in the normal course after removal of teeth, is retained, thereby maintaining the facial contours. Though they are more expensive initially, in the long run, helps avoid major dental surgical procedures including bone grafting and the like. They also help reducing the requirement of new dentures or implants. 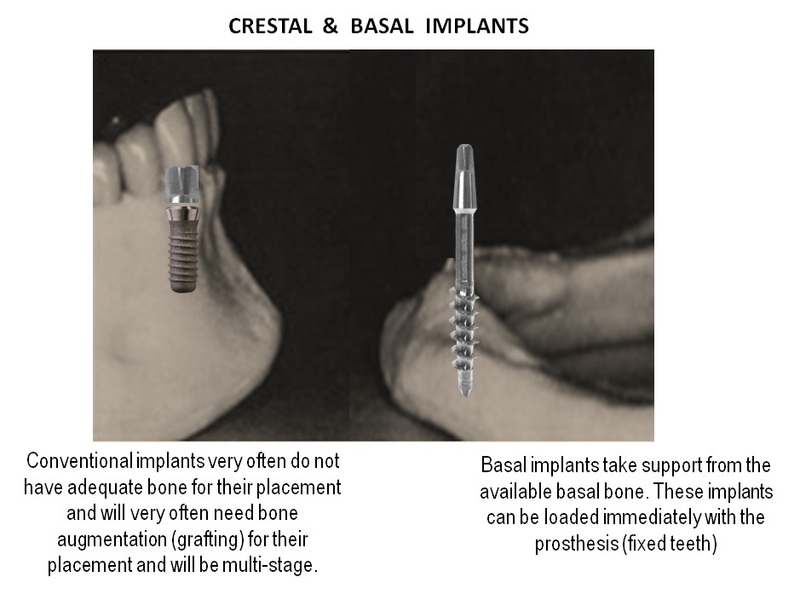 Conventional implants are placed in the crestal alveolar bone which comprises of bone of less quality and is more prone to resorption. 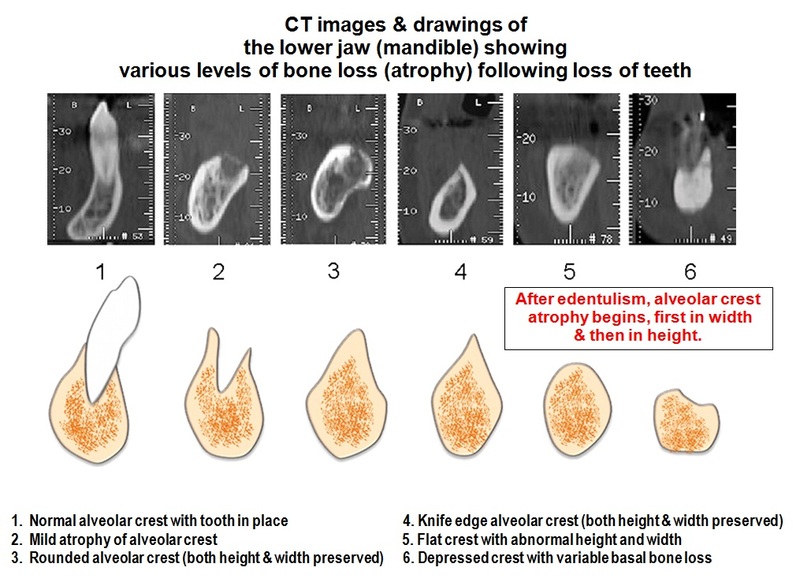 The basal bone, is less prone to bone resorption owing to its highly dense structure. 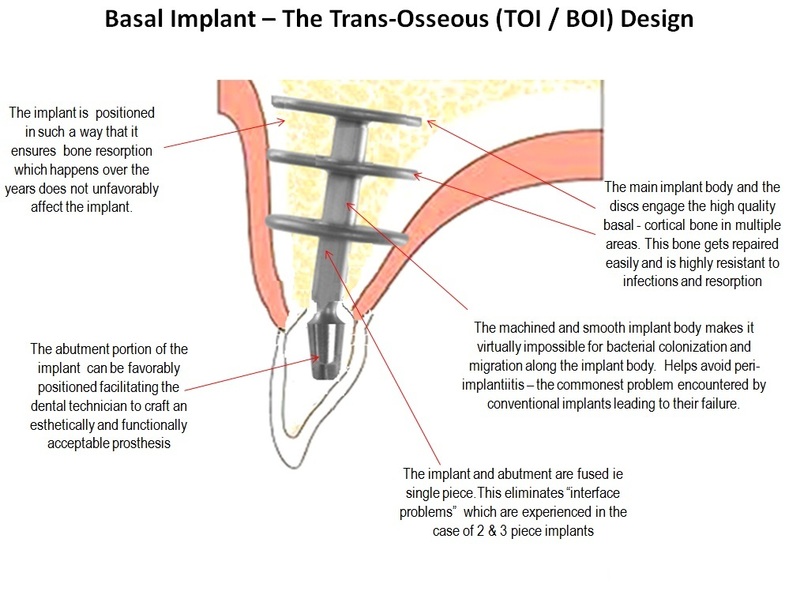 The implants which take support from the basal bone offer excellent and long lasting solutions for tooth loss.